March 31, 2019 | For once The Orange One has said something true — there is an invasion across our southern border. However, this invasion has nothing to do with brown people fleeing violence and peril in their own countries. This invasion has everything to do with seeking relief from the warmer temperatures south of the border. This is an invasion of Painted Ladies. Lest anyone thing these are disreputable ladies of the night, let's be clear — these Painted Ladies are butterflies! They began arriving a couple of weeks ago by the millions, literally, and can still be seen in great numbers. While they are flitting about, the Painted Ladies look fairly drab, since the underside of their wings are mostly dark gray and brown. But when they perch on something and spread their wings, they bear a passing resemblance to the regal Monarch butterly: bright orange spots set against almost black wings, accented by white spots. 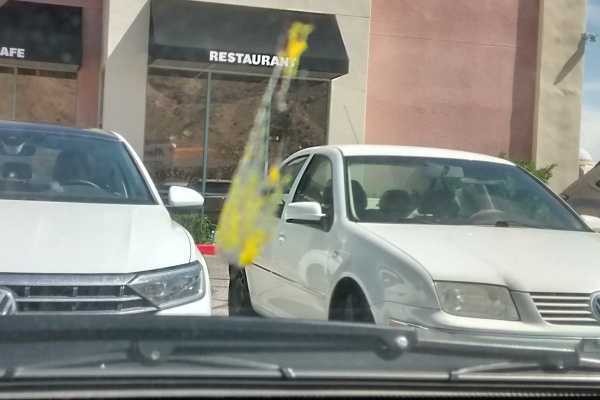 The ladies are impossible to avoid while driving, and when they come to an untimely end on your windshield, they leave a distinctive bright yellow splotch. They say that that is fat stored up for their migration. These butterflies migrant from south to north in the late spring. 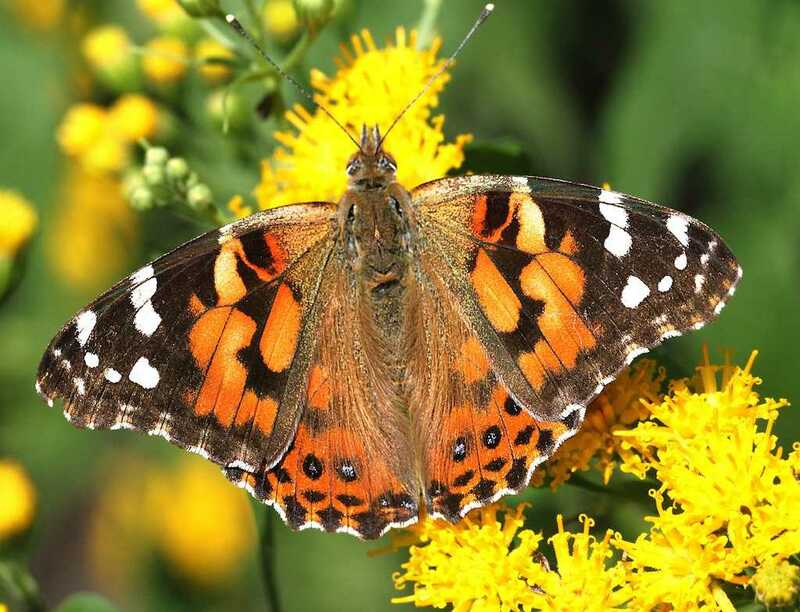 In cold climates, you can see Painted Ladies between March and October. In some southern deserts, they live all year round.